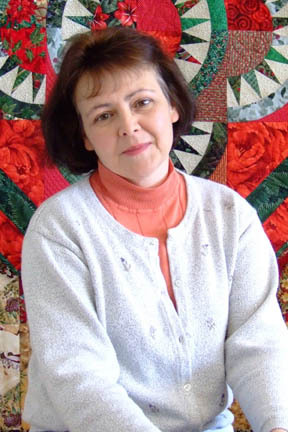 Karen Neary has worked as a professional quilt designer since 1989. A prolific designer, her quilts have been featured in numerous magazines including Quilter's Newsletter, McCall's Quilting, AQS Magazine, Quilter's Connection and The Canadian Quilter. For 12 years, Karen wrote a regular column in Quick & Easy Quilting Magazine. Karen has contributed to 16 books (C&T Publishing, House of White Birches, Leisure Arts, DRG) as well as authored two of her own. She has designed projects for Hoffman, Stof, Benartex, Robert Kaufman Fine Fabrics, YLI Thread, Freudenberg-Pellon, Sew-Fit Templates, Michael Miller Fabrics, Northcott, Hobbs Batting and P&B Textiles. Several of Karen's quilts have been exhibited at International Quilt Festival in Houston, Chicago, and Long Beach, and toured North America with YLI Thread. Her work has been exhibited in Japan and France, at AQS in Paducah, at Quilt Canada, and toured with the prestiguous "Hoffman Challenge". 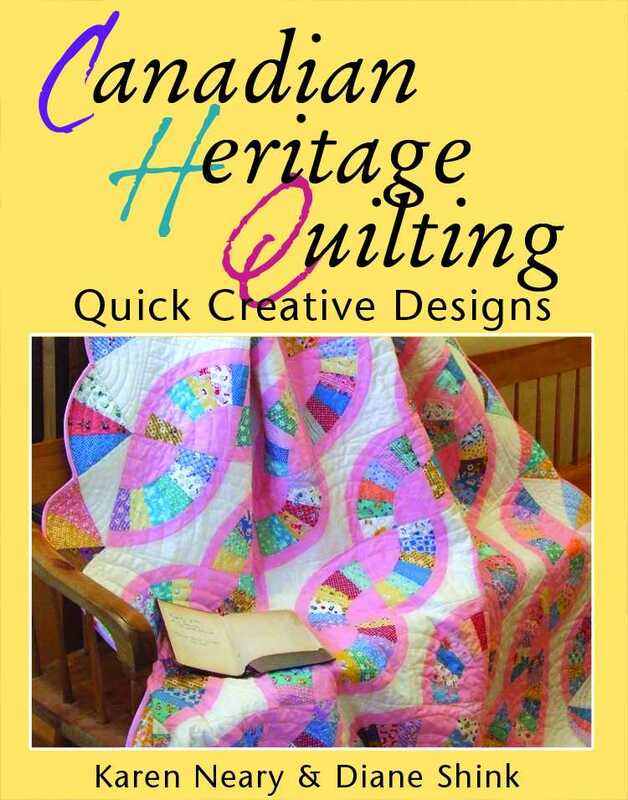 Canadian Heritage Quilting (Formac Publishing) is co-authored with AQS Quilt Appraiser Diane Shink. Log Canada, one of Karen's quilts featured in this book, was chosen as part of the "O Canada" 2009 special exhibit by International Quilt Festival of Houston. The show spent the year travelling across the U.S. The next year, Log Canada was exhibited at Quilt Canada in Calgary and in 2012, Log Canada was one of 25 quilts chosen to represent Canada at Carrefour Europeen du Patchwork in France. Upon its return, it was exhibited at Joshua Creek Heritage Centre in Toronto until 2013. Log Canada was then selected to join the IQF "Ruby Jubilee" exhibit of red and white quilts at Houston in October 2014 and toured t he U.S. for two years, with the final display at the Texas Quilt Museum. 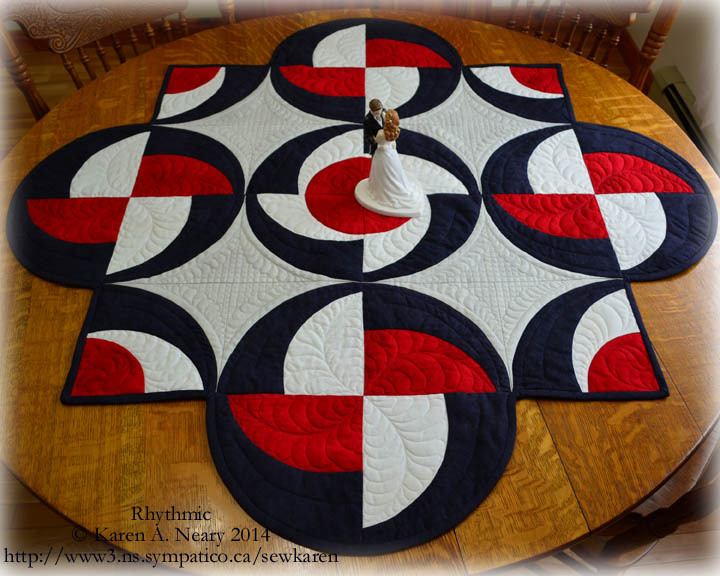 In 2011 and 2012 Karen again had quilts chosen to be part of the IQF "O Canada" travelling exhibit out of Houston Texas.Farrago was a semifinalist at the 2011 Paducah, KY Quilt Show; Roundabout Again at Paducah in 2013, and Rhythmic in 2015. Rhythmic was also part of IQF's "Hands All Around" exhibit, chosen to represent contemporary quilting in Canada, and displayed at Houston in 2016 and IQF Chicago in 2017.Tempus Fugit was part of the National Juried Show at Quilt Canada in London, May 2011. Karen's proudest accomplishment was making a quilt which was presented to Sir Paul McCartney on his visit to Nova Scotia in 2009. 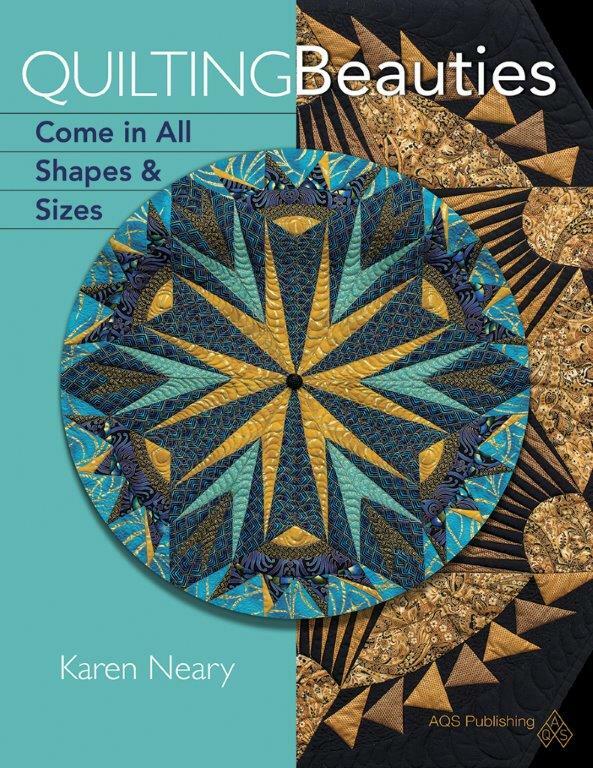 Karen's latest book is Quilting Beauties Come In All Shapes & Sizes , published by AQS. Karen Neary is a graduate of the Bachelor of Arts and Bachelor of Education programs at Mount Allison University. She is a member of the Mayflower Quilt Guild of Nova Scotia, Canadian Quilter's Association, and an honourary member of La Guilde Acadienne de Clare. Karen hails from Five Islands and currently resides in Amherst, Nova Scotia, Canada. You can contact Karen via email here.